Entre Deux Mers – Gironde – Nouvelle-Aquitaine region. The Ducourt family acquired Château des Combes, located in the hamlet of Hourc between the Entre-Deux-Mers and southeastern Bordeaux, in 1858. 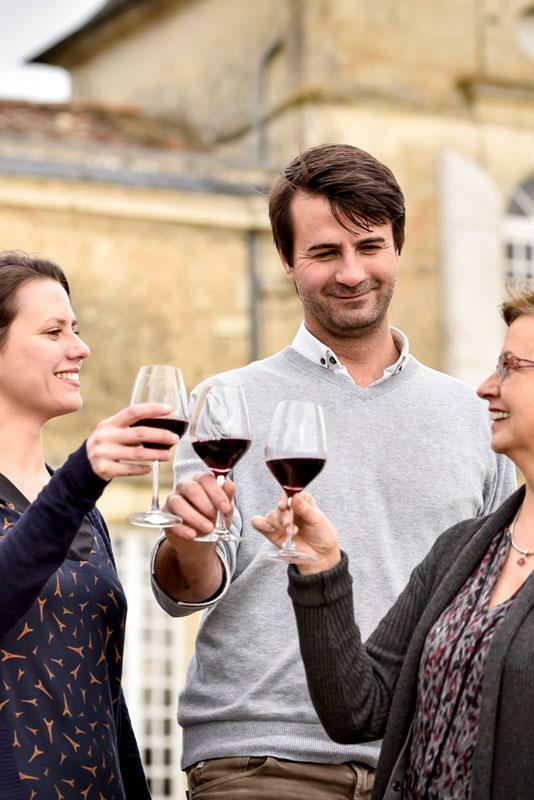 Over the years, the Ducourt family has boosted its activities and transformed this family vineyard into one of the largest wine enterprises in Bordeaux (450 hectares, 14 chateaus across six different AOCs). 2001: Acquisition of Château Des Demoiselles (in Castillon Côtes-de-Bordeaux) and Château Jacques Noir (in Saint-Emilion). Since 1996, the Ducourt family has been actively working to implement increasingly innovative techniques for high-quality wines, with their primary aim being to ensure satisfied customers. ISO 9001 quality certification under this company management standard ensures top-level expertise and customer satisfaction. Sustainable agriculture: In order to ensure transparency, all of its estates have held sustainable agriculture certification since 2004, for respecting and preserving the environment and human safety. ISO 14001 environmental certification, a sustainable and evolving management system to minimise the impact of our environmental activities as far as possible and gradually improve performance as regards waste, discharge, power consumption, raw material and natural resource usage, and local flora and fauna preservation. High-quality grapes are vital for making a good wine. All vines are afforded great care and attention in order to draw out the best that every terroir has to offer. Combining historic common sense with the latest technological advances enables increasingly precise and environmentally-friendly work. The vineyard cellar masters have incorporated modern winemaking techniques whilst retaining local typical character, in order to make authentic gourmet wines reflecting the terroir where they were created. Innovation is in the family’s DNA. They love to invent new concepts, break out of routine and test new methods that allow them to boost their expertise even further. They are constantly paying attention to you as the customer, your desires, and consumption trends across the globe.